Residents and Visitor’s alike can enjoy Kauai’s most complete fitness center as a complement to their outdoor active adventures. 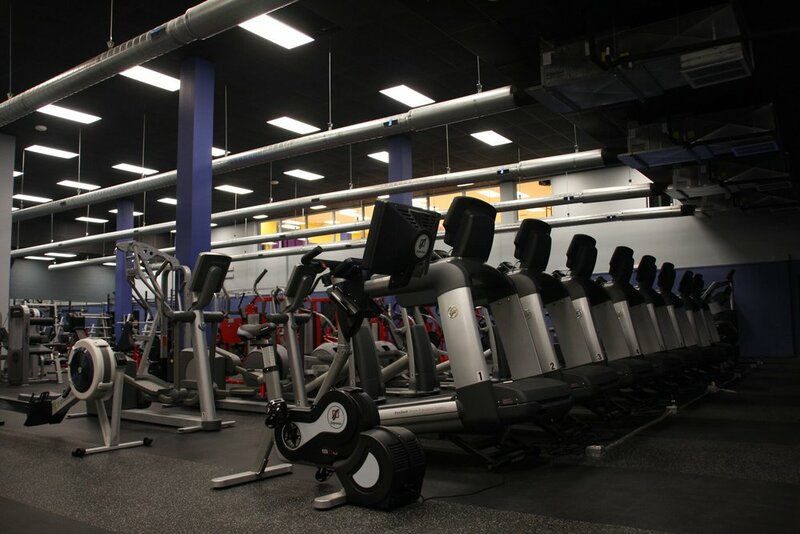 KAC Kapaa boasts a complete array of cardio machines including Crosstrainers, Elliptical machines, Step Mills, Rowing Machines, Bikes, Treadmills, and more. This location is loaded with over 40 strength training machines from Life Fitness, Hammer Strength, Precor, Hoist, Cybex, Rogue as well as a complete variety of cable resistance stations and a Freemotion functional cable trainer. The KAC weight room is stocked with Dumbells from 5lb-140lb, Olympic benches, squat racks, Smith machine and all of the weight room essentials. Looking for space and equipment for your cross training and functional workouts? We have you covered with a Rogue crossfit training rig, kettlebells, battle ropes, climbing ropes, rings, medicine balls, resistance bands, TRX Suspension straps, lifting platform, bumper plates, GHD, Landmine, Heavy Bag, Speed Bag, jump ropes, Plyo boxes, foam rollers and more. KAC is also home to the largest selection of group fitness classes on Kauai with over 100 classes weekly at our two locations. Our Kapaa location boasts a beautiful 1800 sq. ft. studio with a specially designed hardwood fitness floor that is easy on the joints as well as a dedicated indoor cycling studio. Services and amenities include personal training, locker rooms w/ private showers, and our SmoothieLAB for custom mixed smoothies to fuel your performance and help you recover from your workouts.